Cover of the simple guide to digitisation interactive PDF publication. I worked on two projects in the East Midlands region as a consultant. The first was for Renaissance East Midlands on a programme to support digitisation across the region. Liaising with local museums and Caroline Moore, the organisation’s Digital Access Officer, I wrote two guides to provide guidance for non-technical staff. The first was ‘A Simple Guide to Digitisation’, the second ‘Preservation and Sustainability in Digital Assets in Museums’. It was a response to the fact that though there was plenty of guidance out there much of it was written by IT professionals, and it wasn’t being used by staff and volunteers on the ground. 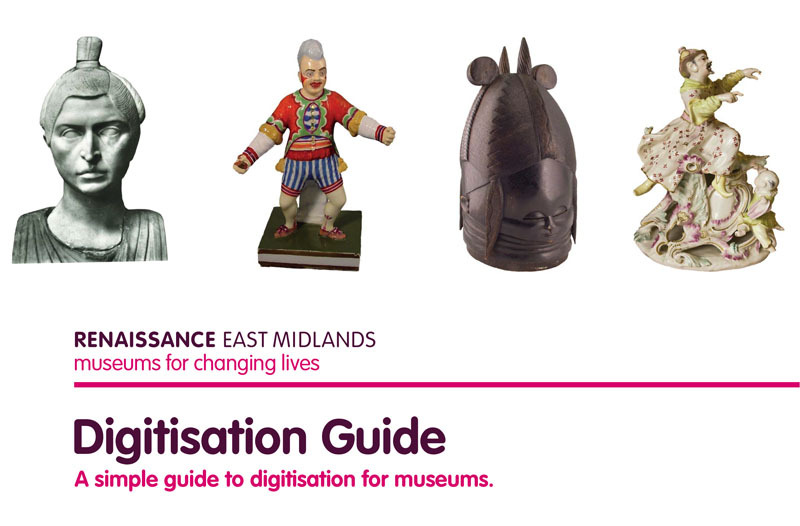 The publications are available as PDFs through the East Midlands Museums Service. See the links above.